Posted December 30th, 2011 by Meg & filed under beekeeping, inthekitchen, livestock. Posted December 30th, 2011 by Meg & filed under beekeeping. Posted December 29th, 2011 by Meg. Posted December 28th, 2011 by Meg. 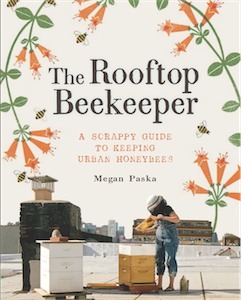 An Online Urban Beekeeping Workshop! Posted December 20th, 2011 by Meg. Posted December 16th, 2011 by Meg. There is truth to what people say about rabbits and their reproductive prowess. They certainly do know how to get things done in that department. A New Kid in Brooklyn! Posted December 14th, 2011 by Meg. Posted December 8th, 2011 by Meg. A Winter Beekeeper’s Mixer! This Thursday at 61 Local! Posted December 6th, 2011 by Meg. Dear Santa, Help a Backyard Farmer Out. Posted December 3rd, 2011 by Meg.